Market your services to students and turn them into loyal clients. Read on for tips from salons who've successfully brought students in--and kept them coming back. From advertising in the school paper to participating in sorority events, there's more than one way to go about it. Who can forget bubbly Elle Woods in “Legally Blonde?” Besides defying all odds by going on to attend Harvard Law School, the bodacious blonde also made it a point to pamper herself and look très chic. She challenged the stereotype of the college student decked out in sweats and casual clothing by dressing to the nines at all times. And when she wasn’t studying or attending class, she could often be found at her local nail salon, pouring her heart out to her nail tech and confidante Paulette — all while getting her nails beautified. It might have been a movie, but the reality is today’s college students aren’t a far cry from Elle Woods. They might not dress for class quite the way she does, but they can and do fork out the cash to pamper themselves. According to the most recent findings from the 360 Youth/Harris Inter College Explorer Study, the college crowd (ranging from 18- to 30-year-olds) spends nearly $200 billion dollars a year. 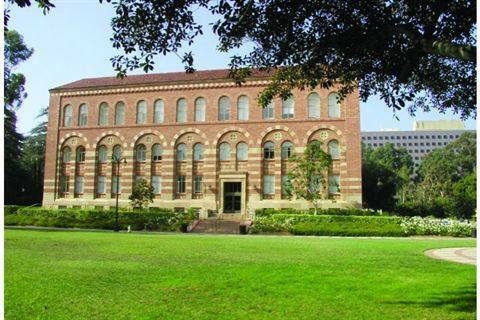 It is a large and influential market, with more than 15.6 million students in the United States. More than 75% of college students work while attending school, according to Rick Kincaid, associate director of career services at the State University of New York at Brockport and former president of the National Student Employment Association. College students are faced with a whole range of life decisions, including a lot of first-time purchase decisions. It’s an important — and perfect — time to connect with this demographic group. After all, this is the time when college students are breaking away from the family nest and establishing their own life-long buying patterns and loyalties. This demographic is often overlooked. Salons are quick to focus on moms, working women, and teenagers, but may not always think about marketing to college co-eds. Salons with colleges nearby are in a unique and enviable position to build a loyal clientele — provided they know how to cater to them. We talked to several salons about the tactics they use to attract and keep the college crowd. College tactics: Marshall recently opened a new location directly across the street from the university’s main campus. “Our best way to attract students is the salon itself,” says Marshall. “Lots of students walk by our salon during the course of the day.” Window displays are frequently changed to keep passersby interested — and to keep things fresh. Marshall likes to do promotions and events with various student organizations, clubs, and sororities to keep the salon’s name on everyone’s mind. Natural nail manicures are popular at the salon. “We cater to busy students so we let them try the polish for themselves,” he says. 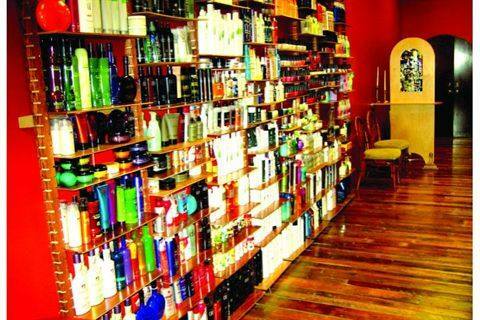 “This in turn leads to better product sales, which is our main focus with nails.” With regard to products, Marshall stocks a wide selection of hair, nail, and skin care products and is in the process of producing a line of products he plans to have available next year. He’ll often ask students what they like and if enough of them request something, he’ll order it. Marshall also advertises specials and services in the school paper and often prints out flyers. Staff members also paint their hair in the school’s colors on game days (the football stadium is across the street from the salon). “We also do discounts and use coupons for services and frequent sales for products,” he says.